Note: This review originally appeared alongside the 2017 Kickstarter campaign. 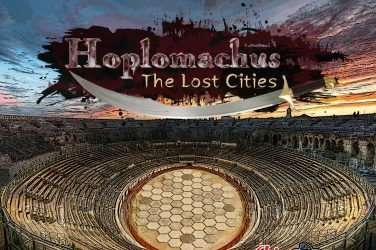 It has been updated with new photos, additional commentary, and a new score to reflect the finished, retail copy of the game. Spy Club is all about solving mysteries. But it’s not your typical murder-in-an-alley-with-construction-material mystery game. It’s about the things that mattered most when we were children. Like, where the heck did my video game console disappear to? Or who would dare get into mom’s purse (and why am I being blamed?!). 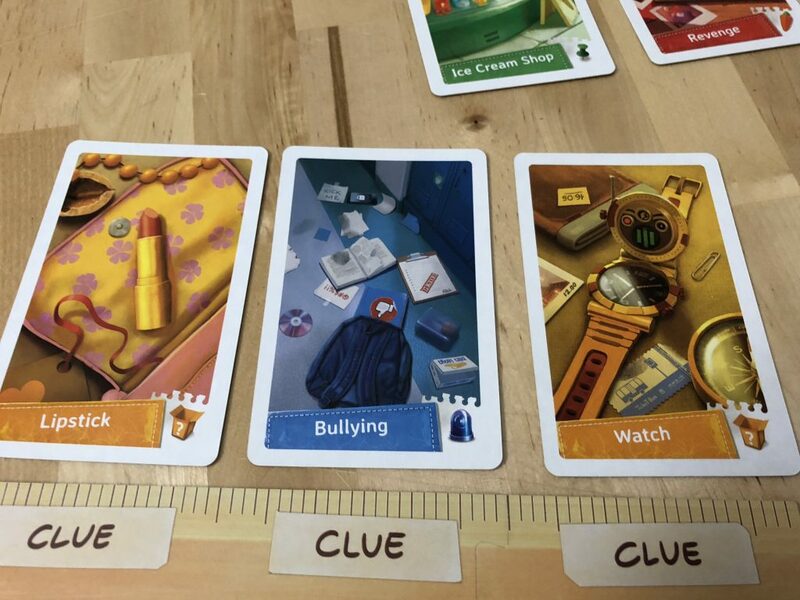 In Spy Club, players take on the role of pre-teen sleuths attempting to track down each of five different key pieces of information about a “crime” in their neighborhood. 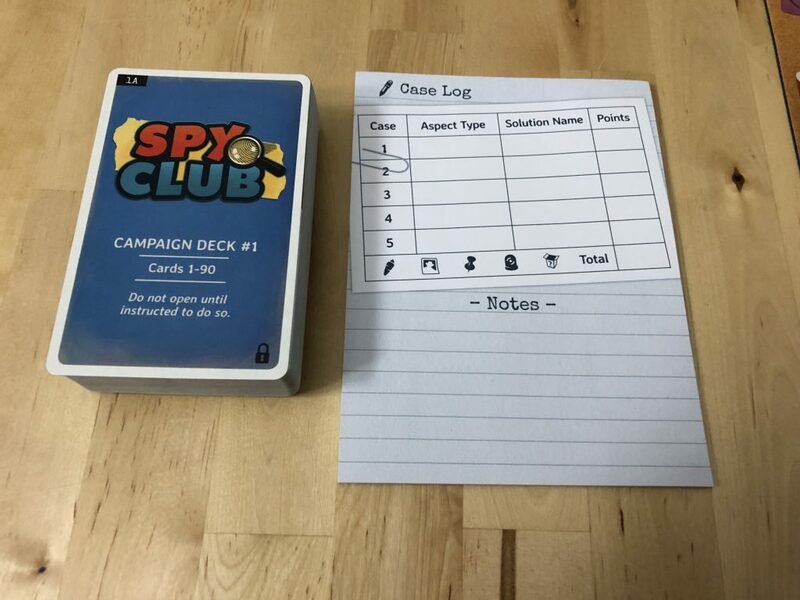 Using the campaign decks to turn the simple but satisfying core coop concept into a robust campaign game, Spy Club brings something wholly unique and original to a genre full of simplistic games, and it’s a breath of fresh air. 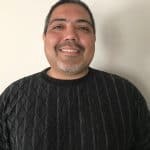 The basic goal of the game is straightforward– you need to solve each of five different aspects including motive, location, suspect, crime, and object. Each of these aspects is associated with one of the card colors. 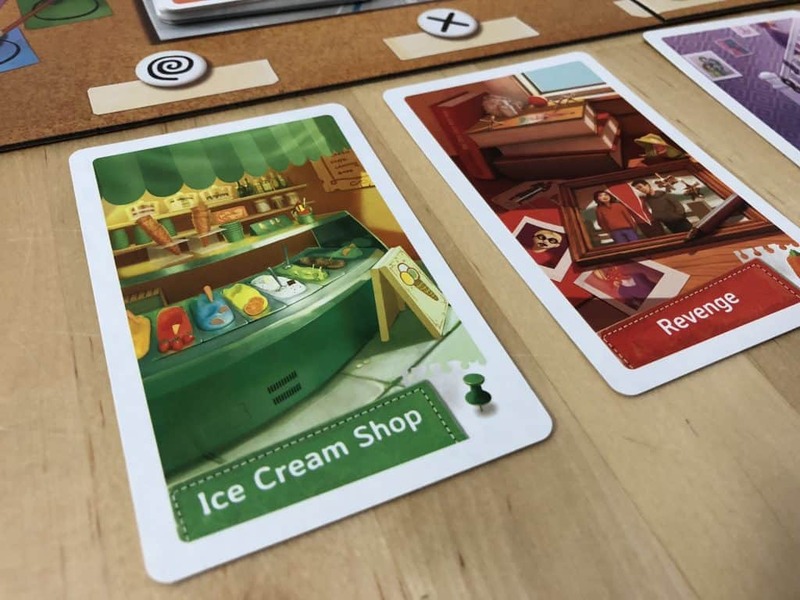 There is a sixth card type as well – distractions – that can clog up your player space, and can be used during the campaign in various ways to manipulate the game. To solve these different aspects, you’ll need to collect five of each type of card. The catch, though, is that you can only focus on one of them at a time. So you can’t collect three Motive Cards, then switch to collect Suspect cards because there are more of them available. If you switch, you lose you previous progress, so the game is all about efficiency and card management. Now, how do you actually do all of this? Investigate – This allows you to flip over any number of cards on your player board. Remember, every card is two sided (and each side is a different aspect). Shift Focus – This lets you move your magnifying glass to a different card on your board. You then gain Ideas based on the number of that type of card you have in front of you. Scout – This allows you to spend ideas to draw new cards from the upcoming clue board. The cost is noted on that board. Confirm – This allows you to move a card you are focusing on to the central board. You can also pay Ideas to select and move a card adjacent to your magnifying glass (or more if it’s further away). These things all cost you actions to perform. 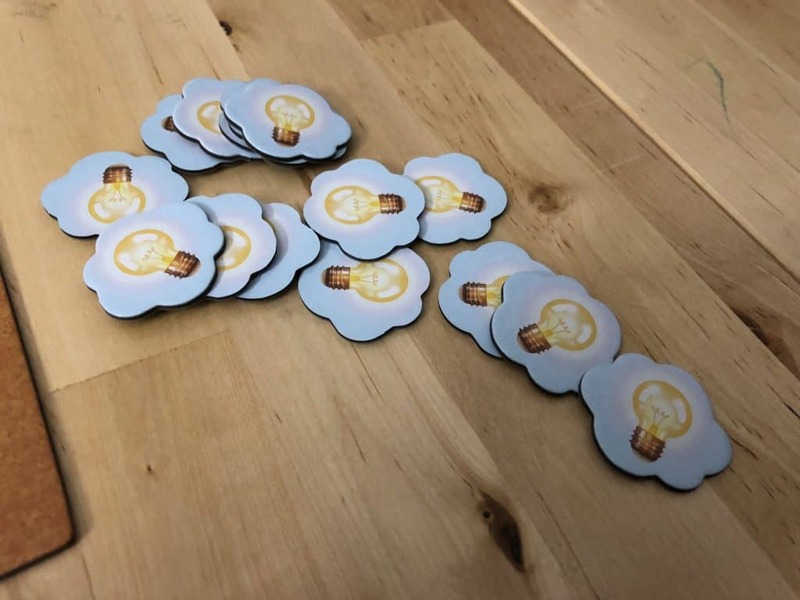 You can also trade cards with other players for free on your turn (make sure to ask them!) and you can get advice by taking Idea cards from another player. Once you get five of the same color in the middle of the table, you have solved that aspect and you will then clear them away. 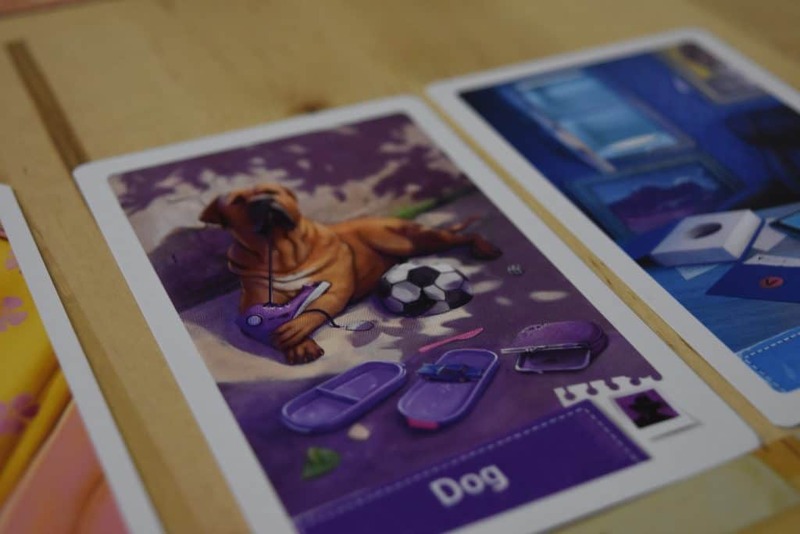 The movement card will tell you which of the cards is the correct clue – put that card aside and discard the rest. 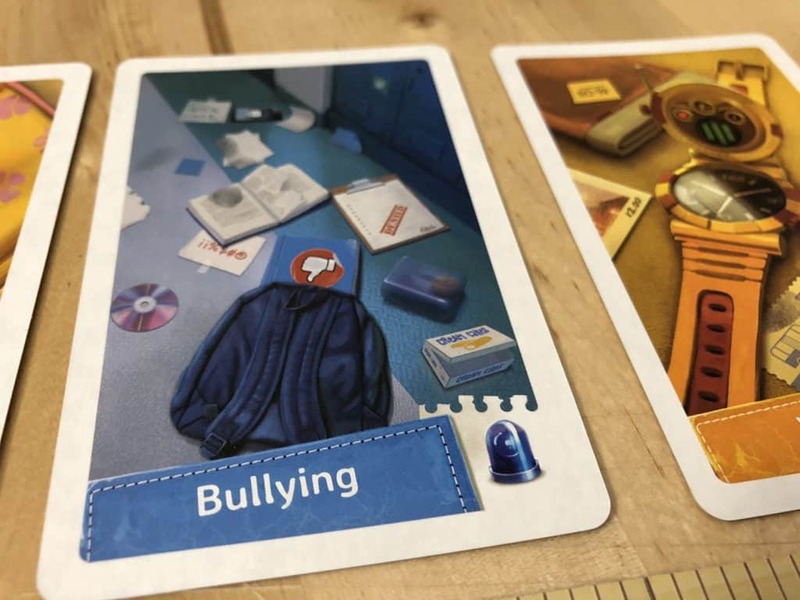 At the end of your turn, you will draw a movement card and move the suspect token the number shown, move the Escape Tracker if indicated on the movement card, and then do something bad. Based on the color of the card the suspect stops at (which you can control to some degree in advance), you’ll flip people’s cards, lose idea tokens, move up the escape tracker, discard on deck clue cards, lose idea tokens based on how far you are in the case, or if you’re really lucky, nothing at all. 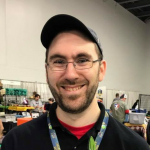 How do you win? Simple, you solve all five aspects. And like any good coop, there are nearly a half-dozen ways to lose. 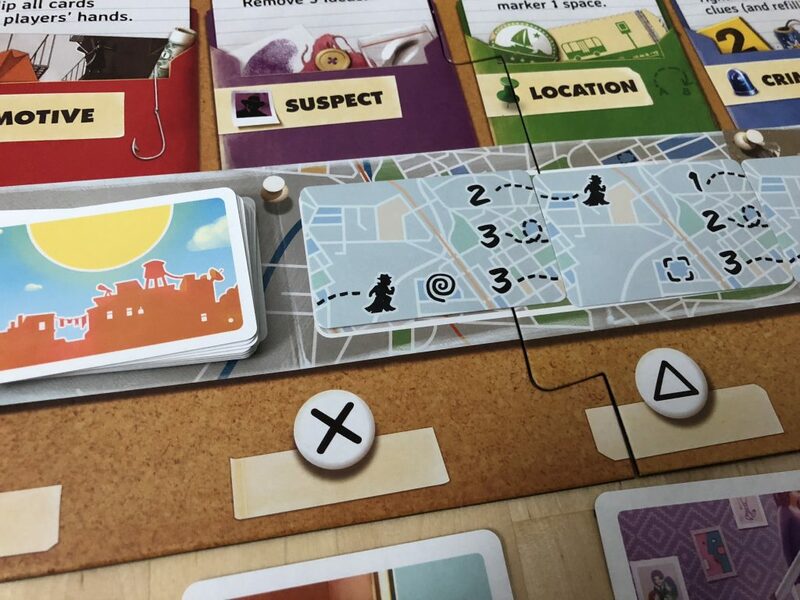 You lose if you run out of clue cards, if you run out of ideas, if the suspect reaches the end of the escape tracker, or if you run out of movement cards. There are a lot of timers counting down, so it’s important you move fast! Spy Club is such a cool idea. 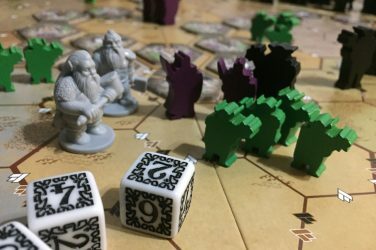 I was immediately smitten with the idea when I first played the prototype last year. This is a game that is on one hand accessible to the entire family, on the other likely to trigger nostalgia for anyone who grew up reading pre-teen mystery novels, and for everyone else, a beautiful looking production. This is a pretty game. It’s colorful, rich with detail, and full of unique illustrations that really capture the essence of a caper for younger children. The large cards with full sized artwork, and the use of color on the cards not just as a background, but as a filter through which the image is presented, are just spectacular. I had a lot of fun just looking through the deck. Despite the game’s lighter theming, it’s not necessarily easy. There is some solid difficulty here, and the game will force you to make tough decisions and challenge you to solve complex puzzles as efficiently as possible. It’s not as high a loss rate as some coops, but it’s not easy either, and I really appreciate that. Now, the most important thing about this game, and the one I haven’t really touched on as much, is the Campaign System. 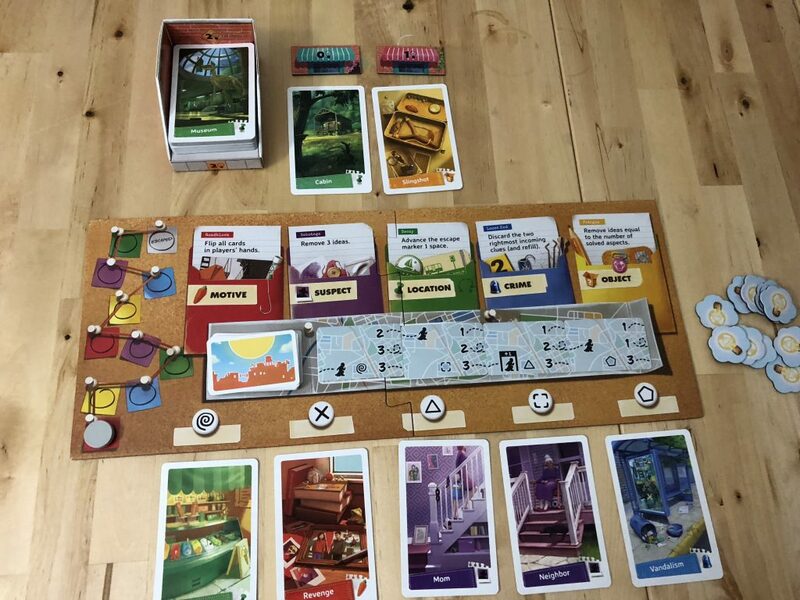 This aspect of the game takes a lot from other games that evolve and change over time, but done in a sleek, accessible format that fits the theme of the game. 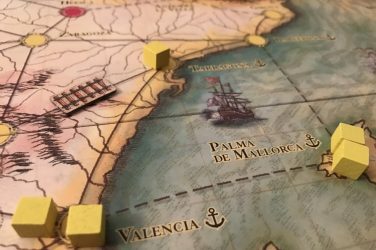 Where you can easily pull out the game for a quick 45 minute play with your family, the campaign offers an escalating difficult experience for more experienced gamers, and it’s a lot of fun. 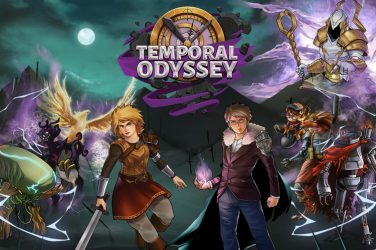 It goes beyond the core mechanisms of the game, adding in things like story threads, specific locations, unique characters, and clever use of different cards and distractions that offers a more exciting solution to the game’s puzzles. This is a system you will hear a lot about as it gets into more hands. My only hope is it appears in other types of games as well. This is a game with a lot to like, and honestly, I can’t see a ton here that would need to be added or changed to amplify what the team at Foxtrot and Renegade has put together. The Campaign System is easy to setup and challenging, though, you may want to give it a try with your gamer friends before introducing it to the family. It’s not as easy as it looks based on the theme. Another thing to keep in mind is that the game has perfect information. Players can see and interact with everything each other are doing. For that reason, you’re likely to have one or more players attempting to guide the team. 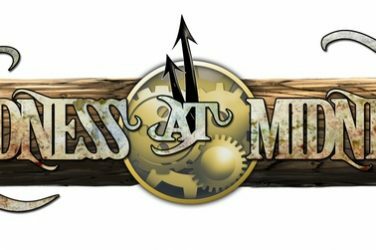 This is great in a family setting – it’s easier to coach you children and help non-gamers through the mechanisms, but you might have some frustrations in a campaign. Though, again, nothing different than what you’d see in almost any other coop. 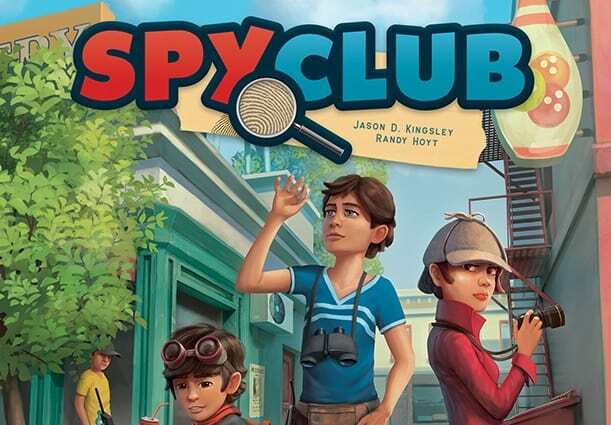 Spy Club is the kind of game that can have a lasting impact on the genre. With the introduction of the Campaign System, the high-quality production and artwork, and the emphasis on a theme that is accessible and family-friendly, but not to the detriment of older gamers, it offers the kind of experience that I cannot wait to play again in its final form. I wish I could go into more details on the Campaign System and what it offers. Let’s just say that this is the kind of game that, with repeated plays, will offer a recurring but almost always unique and engaging experience. It’s something other campaign style games cannot always pull off. The storytelling integration here, combined with the theme make this one a blast and an easy recommendation. 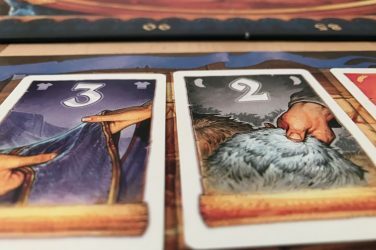 Spy Club is a spectacular coop game with beautiful artwork and an engaging, story-driven theme. The Campaign System is unique and offers a whole new level at which to experience this game. Highly recommended for anyone who enjoys coops, story-focused games, or campaigns with rising difficult.